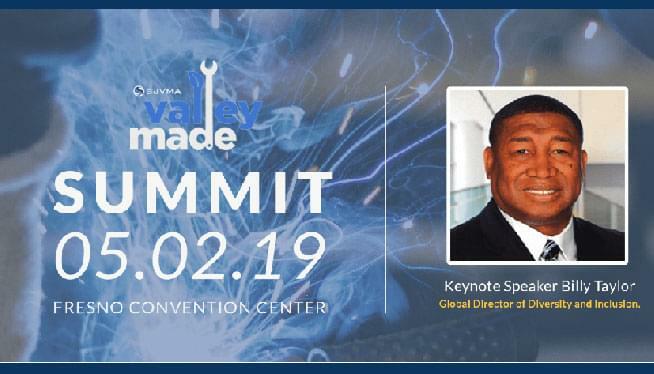 The Valley Made Manufacturing Summit is an annual conference for the San Joaquin Valley’s manufacturing industry, hosting hundreds of attendees and focused on creating a globally-competitive industry while celebrating its thriving business community. Hosted and supported by the San Joaquin Valley Manufacturing Alliance, the event consists of a keynote speaker, multiple break-out sessions, and exhibits from an array of businesses. Attendees from across the Valley come to the Summit to get to know regional companies, learn from major industry innovators, and make valuable and lasting connections.